Kenneth Langone is the founder and Chief Executive Officer of Invemed Associates LLC., a New York Stock Exchange member firm specializing in healthcare and high technology companies. He received a BA from Bucknell University and an MBA from New York University’s Stern School of Business; he remains active with both institutions currently serving on the board of overseers of the Stern School and on the board of trustees of New York University as well as chairman of the Trustees of New York University Medical Center. In April 2008 the medical center was renamed the NYU Langone Medical Center reflecting a major gift from Elaine and Ken. He was a member of the Bucknell University Board of Trustees where he served as Chairman of its nominating committee, its endowment and as a member of its executive committee. 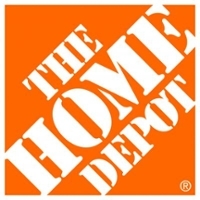 He is a co-founder of the The Home Depot. and was lead director and a member of the executive committee of its board since it was founded in 1978 until 2008. He also serves on the boards of Unifi, Inc., Micell Technologies, Relationship Sciences and Juice Press. In addition he serves on the boards of NYU Winthrop Hospital, The Center for Strategic and International Studies, The Ronald McDonald House of NY, Horatio Alger Society Foundation and the Harlem Children’s Zone and it’s charter school, The Promise Academy and St. Patrick’s Cathedral where he led the fundraising effort for its recent restoration and renovation. He and Elaine have three sons and two grandchildren.